When visiting South Korea, Seoul, the capital city, is of course on everyone's bucket list. However, some of South Korea's smaller cities are equally worth exploring - and what better place to start than Busan, South Korea's largest port city? Busan is also home to Korea's largest beach and longest river, in addition to the world's largest department store! Even if you have a limited time frame, you'd be surprised at how much you can fit in, in just 48 hours. Getting to Busan from Seoul is easy, with several viable options depending on what mode of transportation you prefer. The most popular (and by far the most convenient) option is to take the KTX (South Korea's high-speed rail system) - you can book online 1 month in advance, with a free cancellation system (within 48 hours) in place in case your plans change. Another option is to fly from Gimpo Airport; there are at least 15 flights leaving from Gimpo Airport per day. Otherwise, there are a number of buses that you can take - although this is the cheapest option, it does take longer than the other modes of transportation. Welcome to Busan! Photo taken at Busan Station. Located at Yongdusan Park, Busan Tower is a symbol of Busan that is not to be missed when visiting this beautiful city. Standing tall at 118m, Busan Tower offers beautiful panoramic views over the city's port and surrounds. Unlike most other observatory towers which double up as TV and radio towers, Busan Tower is used solely for entertainment purposes; namely to provide stunning birds-eye view of the city for visitors and locals alike. It's accessible only during business hours via two high-speed elevators. There is a cafe at the deck serving a range of hot and cold drinks, and a few galleries and souvenir shops at the base. To get to Busan Tower, take the subway to get to Nampo Station (Line 1). Leave via Exit 7, turn left onto Gwangbok-ro Street (광복로), and keep going straight for approximately 160m before arriving at the entrance of Yongdusan Park - the escalator will be on your right. Amazing view of the city of Busan from Busan Tower. Signs to inform you which specific landmarks you're looking at. Enjoy a hot drink in winter or a cold drink in summer, with an amazing view all year round. Known as South Korea's "Santorini", "Machu Picchu" or "Lego Village" (amongst many others), Gamcheon Culture Village is a dense area of brightly coloured houses built on the foothills of a coastal mountain; the many alleys cutting through this community allows for visitors to spend hours exploring this beautiful place while at the same time getting a taste of how the locals here go about their daily lives. From here, you will see a seemingly endless panorama of small low-rise houses that come together as the happiest houses you ever did see - it's one of Busan's most photographed spots for this very reason. Gamcheon Culture Village is open to visitors every day of the year, with no set opening hours. However, it is important to bear in mind that despite being a tourist attraction, Gamcheon Culture Village is first and foremost a residential area, where people live. Please be respectful of this when visiting, and keep noise and other disruptions to a minimum. Well deserving of the title "Korean's Santorini". Although you can technically visit at any time of the day, the best time would be during the Tourist Information Centre's opening hours (9am - 6pm from March to November; 9am to 5pm from December to February) so that you have access to help should you require it. 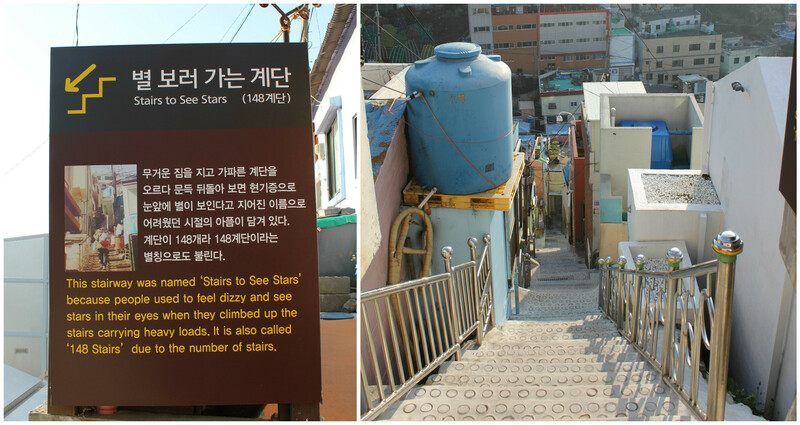 From here, you can also grab a map to help guide you through the village, for just 2,000 won. This map marks the many stops that one should make when visiting, with stamps to be collected at many of these points. The best part about following this guide map throughout the village is that it ensures you don't miss anything worth seeing; there are so many hidden alleyways that you're likely to miss main attractions unless you know where to look. Plus, if you manage to collect all the stamps, head back to the Tourist Information Centre to redeem a free postcard! Grab a copy of the guide map, and get stamping! One of my favourite stop points; "The Little Prince & The Fennec Fox". Well worth the effort exerted! House of Star Stairway, designed by Cho Sung-ryong. Of course, when visiting a port city such as Busan, one simply cannot leave without a meal made up of freshly caught seafood! And when in Busan, what better place to get your money's worth than at Jagalchi Market, Korea's largest seafood market? This market represents Busan, and is famous throughout the country - eat fresh raw fish right at the market, with options including mackerel, sea squirts, and even whale meat, just to name a few. Although the majority of the stall owners here will speak limited to no English, fear not, because all you need to do is check out your options and then point out your choice to one of the workers. Easy peasy! To get to Jagalchi Market, take the subway to Jagalchi Station (Line 1), and take Exit 10. Turn right onto Jagalchi 3(sam)-gil Street. Walk for approximately 5 minutes, then turn left to arrive at Jagalchi Market. 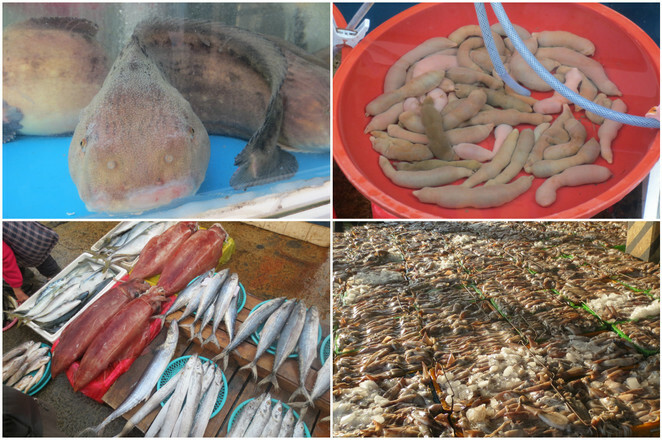 Check out the abundance and extensive variety of fresh seafood on display - the options are endless! Feasting on both cooked and raw seafood. Oh, and while you're in the area, do check out the free observation deck on the seventh floor of the building adjacent to the market! Amazing lookout just opposite Jagalchi Market. Now this is most likely something not commonly found on 'Things to Do' and 'Things to See' list when in Busan. Mount Jangsan is a hidden gem that is frequently mostly by locals. Despite being relatively unknown to visitors, Mount Jangsan is one hundred percent worth a visit - it'll reward you with breathtaking views of the city; tall sky-scrapers peeking out from behind large mountains. Although the slopes were quite steep in some sections, the overall hike was very manageable and very much enjoyable. Bring lots of drinking water, and wear proper hiking shoes. Oh, and don't forget to take a photo of the map located at the entrance - there are many hiking routes that you can take! To get to Jangsan Mountain, take the subway to Jangsan Station (Line 2), and take Exit 10. Keep walking straight for about 10 minutes, and you'll then reach Daecheon Park, where the start of the hike begins. Many hiking trails to choose from. Cities are best viewed from high up while sitting on a pile of rocks. Another lookout point, this time with sweeping, unobstructed views of Busan. Roughly 1.5km in length, Haeundae Beach is, without a doubt, the most popular and most famous beach in Busan. Haeundae Beach is busy all year round with many different festivals - if possible, time your visit so that you can experience both the beach and a Korean festival at the same time! One of the best times to visit is none other than New Years; count down to the new year on the beach with an impressive show of fireworks, and return again early the next morning to watch the sunrise - this is the Korean way of welcoming in the new year. As they witness the sunrise, Koreans pray for the things that they hope will happen in the coming year, whether it be good health, prosperous business or great academic results. To get to Haeundae Beach, take the subway to Haeundae Station (Line 2), and take either Exit 5 or Exit 7. Simply walk straight for about 500m, and you'll have reached your destination. Haeundae Beach, beautiful at any time of the day. One of the most amazing sunrises I've ever witnessed - and I've seen heaps of them! Have you visited any of these attractions before? Which ones would you love to see? If you've visited Busan before, what were some of your favourite places? Leave a comment down below and let us know your thoughts - happy travelling! Why? 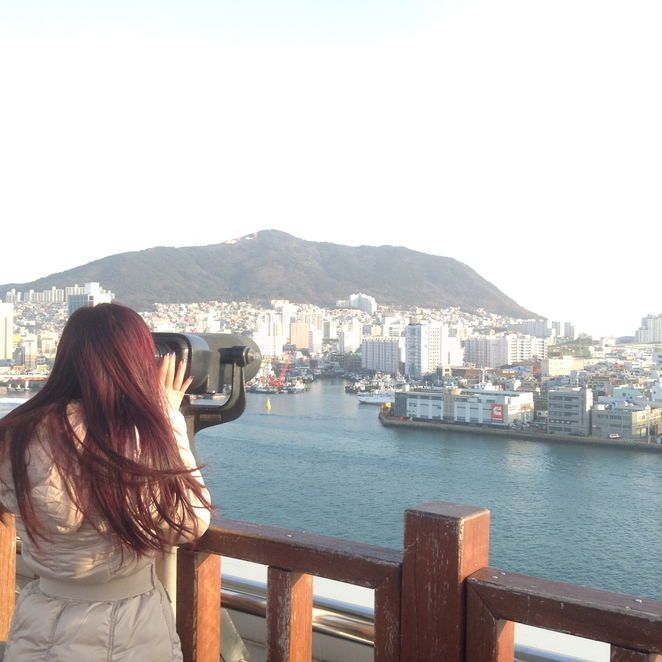 Make the most of your time here in Busan! Busan is so beautiful under your camera. It really makes me to play a visit there. Beautiful photos of the cities and the sunrise. You are a professional photographer.